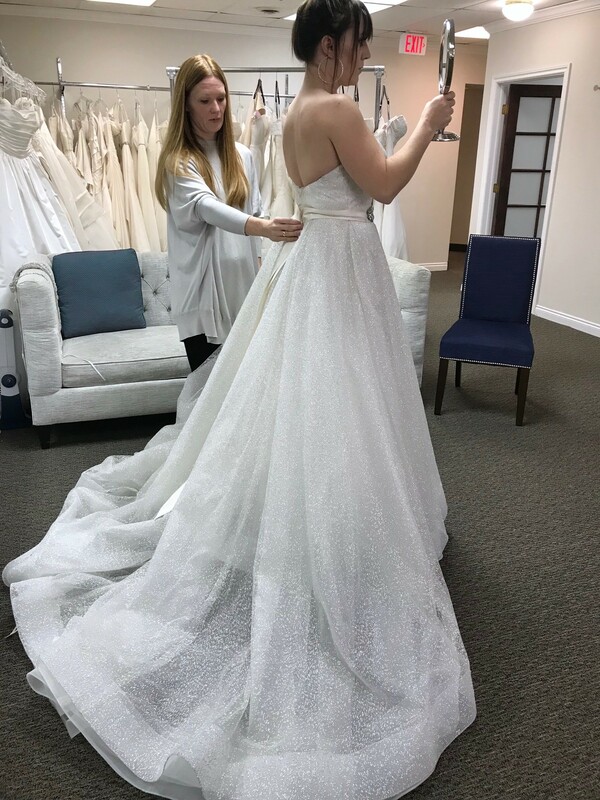 I fell in love with two wedding dresses, and said ?yes? twice. ?It was an extremely?hard decision but I have decided to wear my other one. ?I have not altered or modified the Lazaro dress in ANY way.? This dress has absolutely phenomenal sparkle, unlike anything I?ve ever seen... Lazaro did perfect with the fabric!? 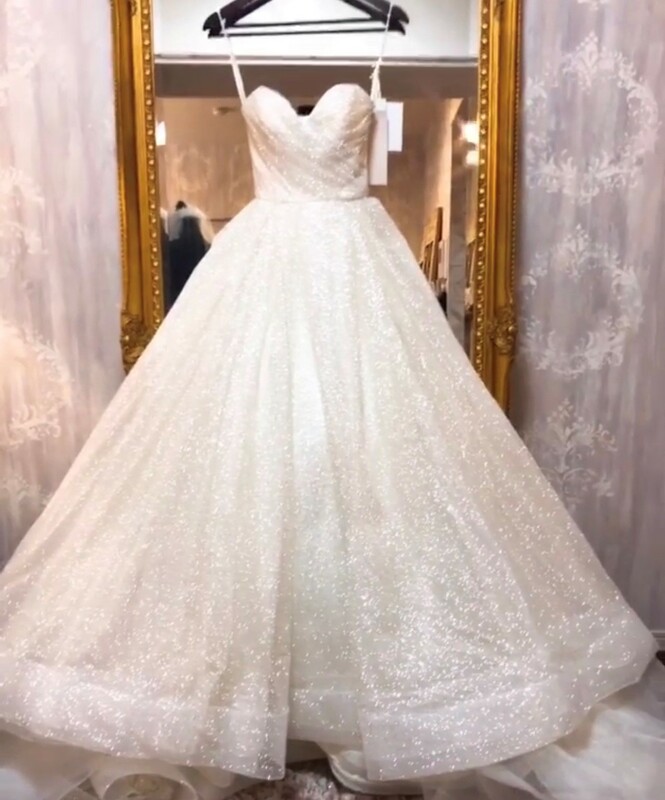 I tried this dress on at two stores in blush and ivory, but purchased and am selling the IVORY. I strongly encourage you to look at Lazaro on Instagram (@lazaro3810) and Facebook... the shimmer/sparkle is?incredible. 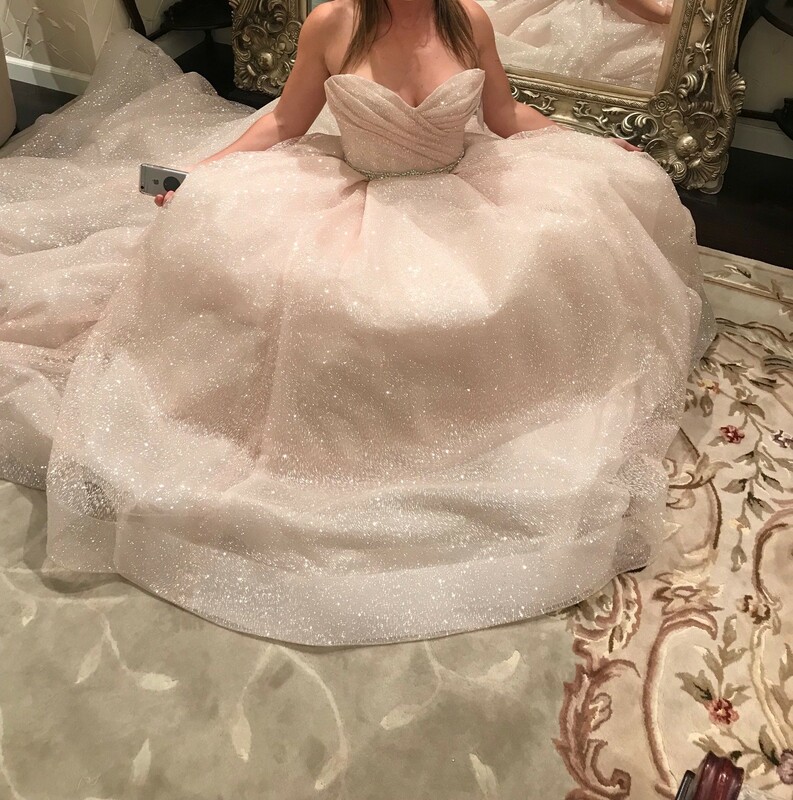 ?This video is of the blush colored?dress, but (I think) the ivory sparkles even more!!! ? https://www.youtube.com/watch?v=YQ7Kkb15Mvo It is lightweight and has pockets! ?I recommend trying the dress on with a belt too...?I found that this was very flattering to my waistline!? 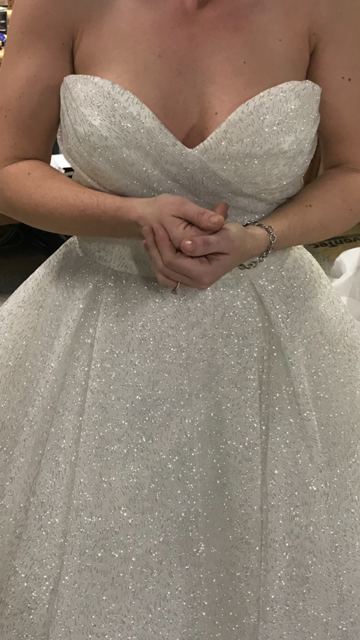 ?I can send more pictures of the dress on me if needed, but want to avoid posting face photos?as I am getting married this May! ?Size chart for Lazaro is included (found online).? I can also send?details on my figure and how it fits if needed. 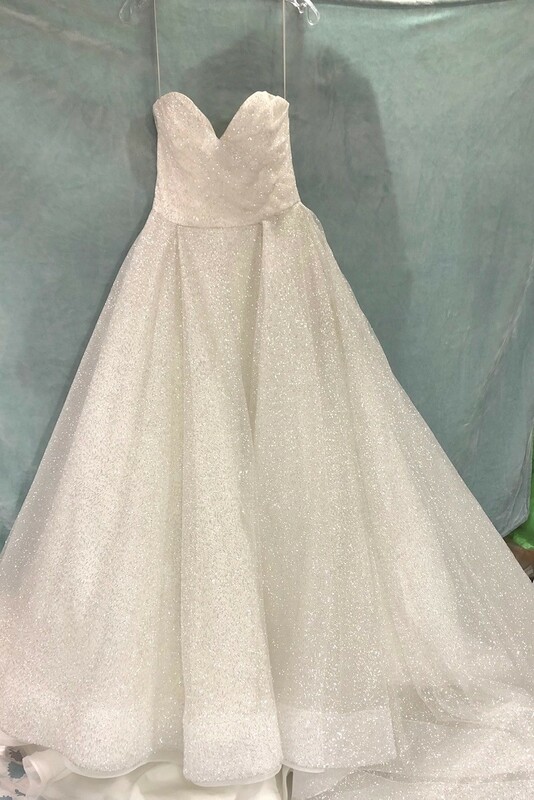 ?I purchased &#39;her&#39; (my dress) off of the rack at a prestigious store and have not made any modifications.? Can negotiate on price/shipping.? Serious inquiries only.? 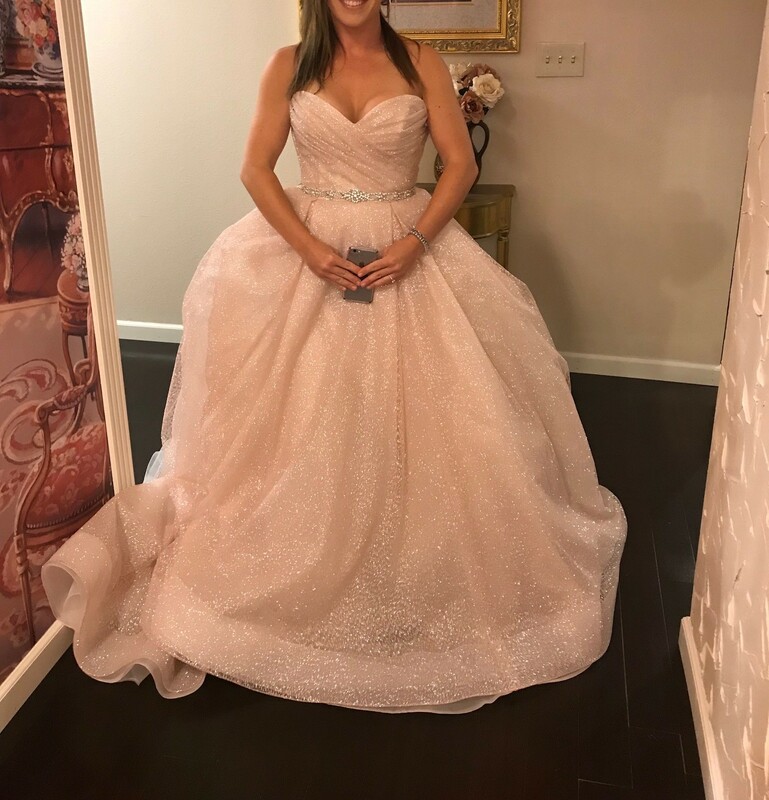 ?Some of the pictures posted are in the blush color but?I?AM SELLING THE DRESS IN IVORY.? 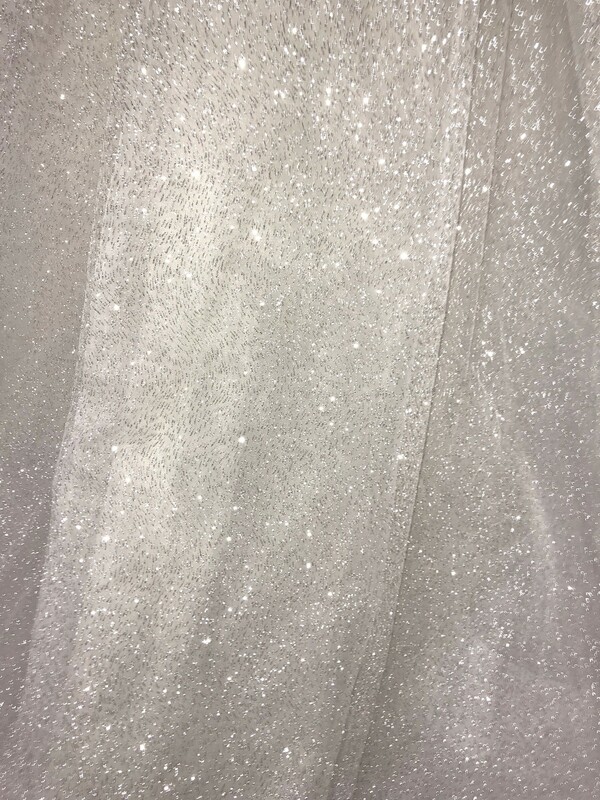 Favorite memory in dress: The sparkle is phenomenal!